From these we can choose to grow and change. What does it look like to actually be working hard? I was nodding along to this post! You’ve got one short life! Make it amazing! Don’t stretch the truth. Just be who you are! Why would you ever think of yourself as average! Every day, you’re making steps and growing! You are better than the last, remember that! Why let others dictate your life? You have control and only what you think or you matters! I think people forget this. Body image knows no gender, race, age, etc. Sometime racing, marathons, etc., just isn’t for all of us. + 10 Common Running Myths – True Or False? Love this post! Gotta know! Tried and true ones that won’t flop! If you’re going to buy processed, know which to splurge on! + Is Non-Celiac Gluten Sensitivity A Real Thing? Not really. It’s probably something else, unless you truly are that .06%. Read this please before ruining the “realness” of true Celiac needs. Golden! Nothing is ever so clear cut or a fact. I think having one would be more of a hassle for me, but I’ve always loved the concept! These are good! Read these every day or when you need a moral boost! So good! Getting “expose” may seem good, but you are worth more. When we were told to “brainstorm” before writing in school, I never would…and I got A’s so…. To keep that flame and spark going through this crazy journey! Because it tried to be a copy-cat and if really just…sucked. We didn’t need yet another similar platform. So far I haven’t had success with it. It’s about content, just like the podcast above said. Great tips! I may have to really implement some of these! Bravo! This is why “getting your name out there” gets old. This is happening this Summer! The best damn video game ever! Sometimes success can be defined by our everyday habits. I never though I was creative for so long! Shredded Chicken Curry. 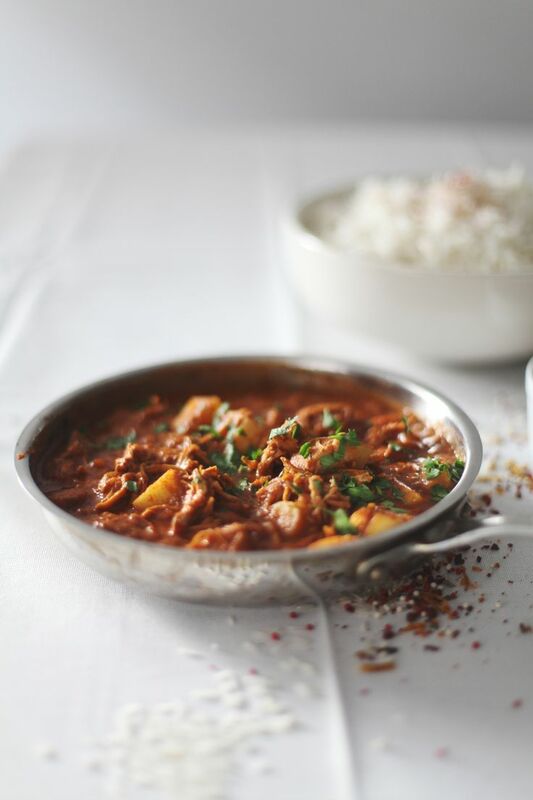 This is one fabulous curry recipe! 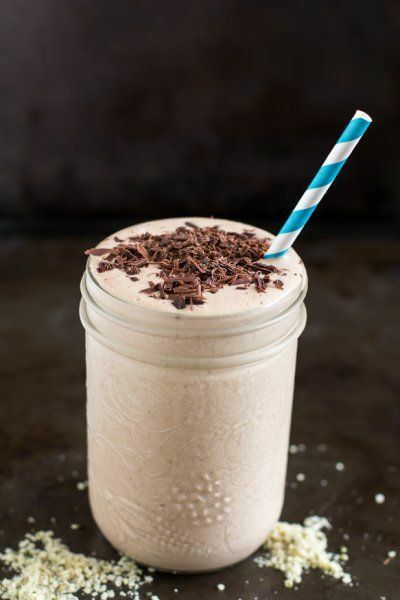 Cookie Dough Protein Smoothie. This just sounds so yummy, creamy, good! 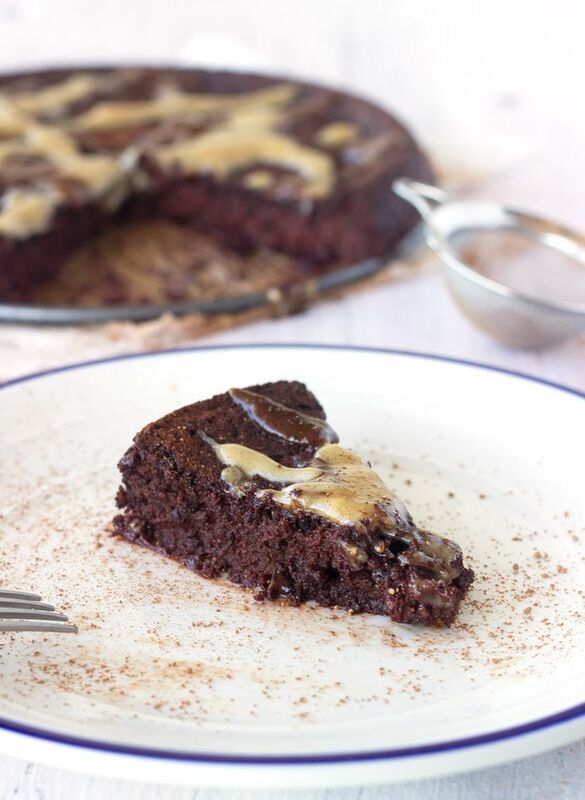 Chocolate Beet Cake with Dark & White Chocolate Frosting. And it’s allergy-friendly! Perfection! 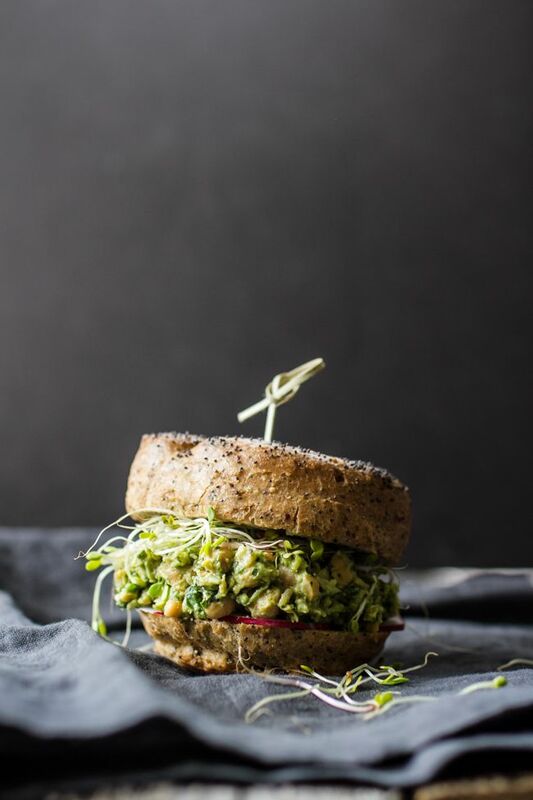 Avocado Pesto Chickpea Salad Sandwiches. Can I please have this for lunch…everyday? 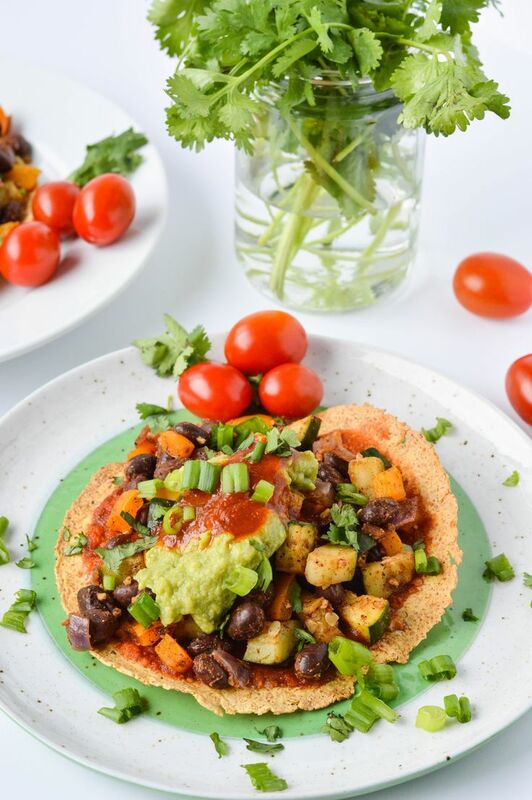 Deconstructed Bean and Veggie Enchiladas. When you need your Mexican fix in a snap! 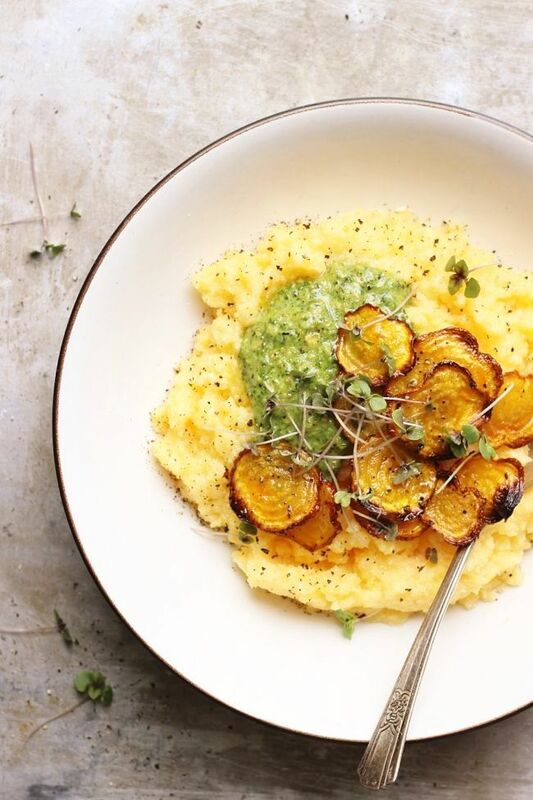 Creamy Polenta with Crispy Beets + Dill Pistachio Pesto. This would make such a beautiful Mother’s Day dinner! 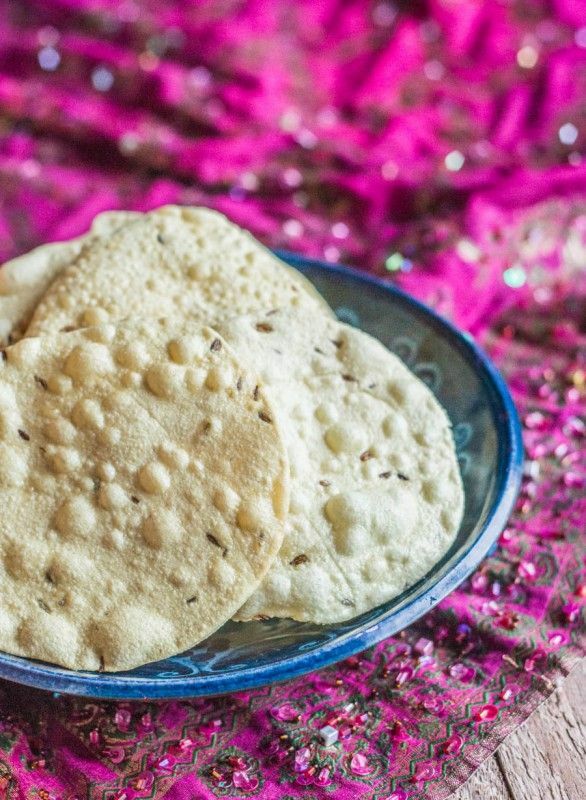 Homemade Papadums. These are one of my favorite snacks! I’d love to make them homemade! Dried Cherry, Sunflower Butter & Buckwheat Granola. 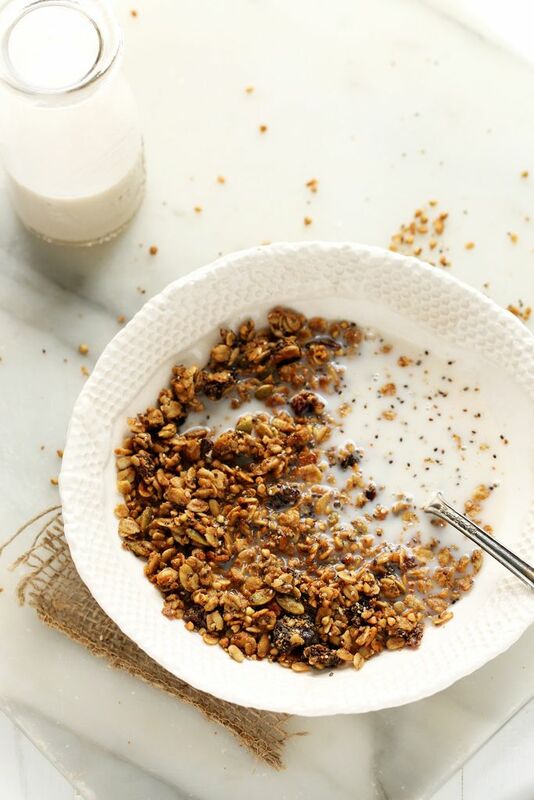 I know my granola, and this is one fab combo! 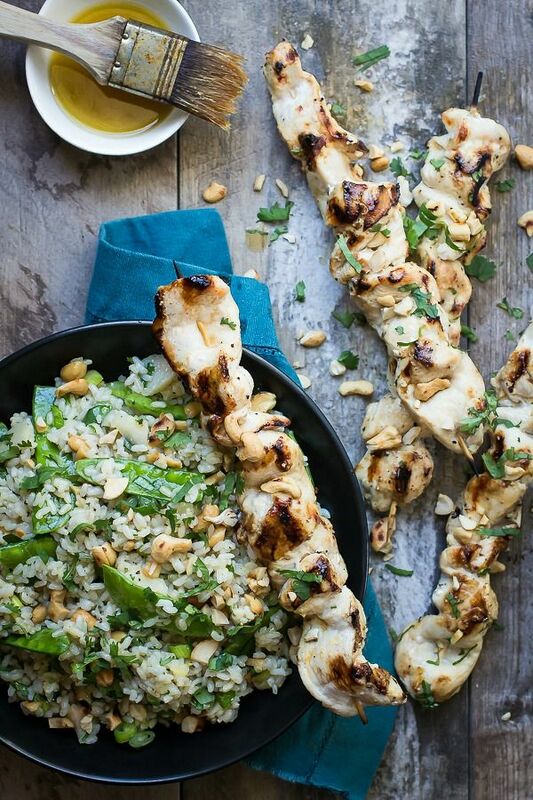 Grilled Chicken Skewers with Snow Pea Rice Salad. 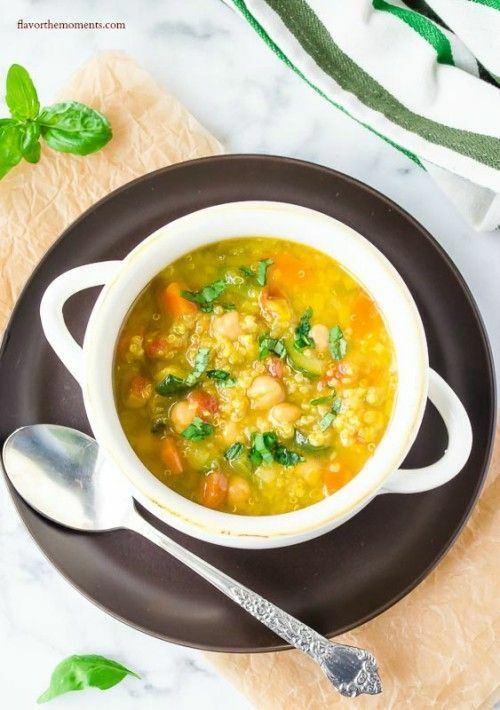 This is an all-around awesome dish! 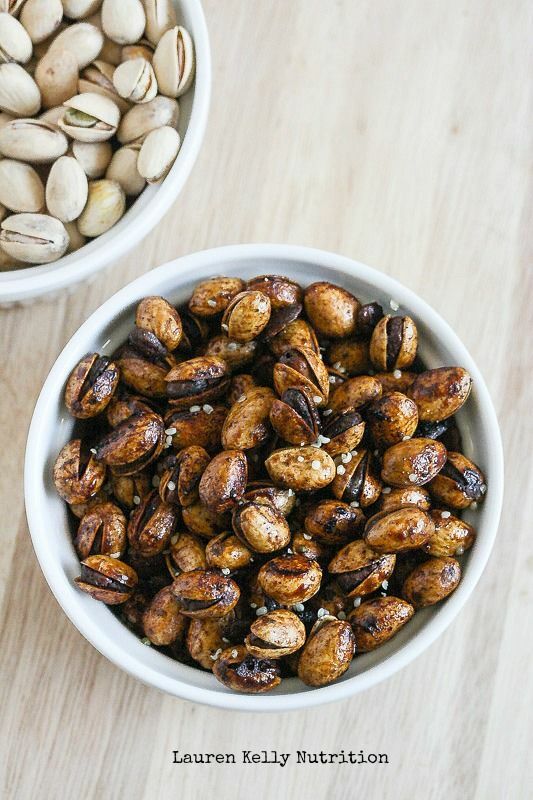 Maple Coconut Pistachios with Hemp Seeds. Now that is a yummy snack! 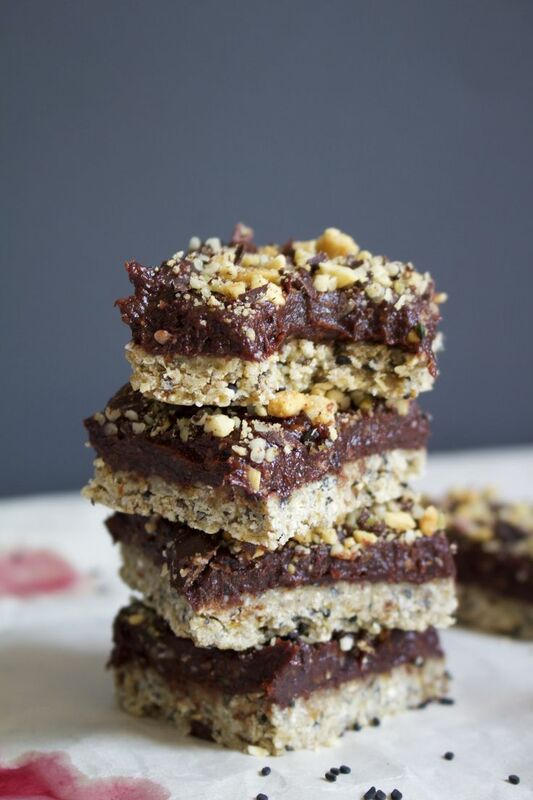 Black Sesame and Coconut Chocolate Cherry Bars. How can you get better than that!? Cauliflower Pizza Crust. 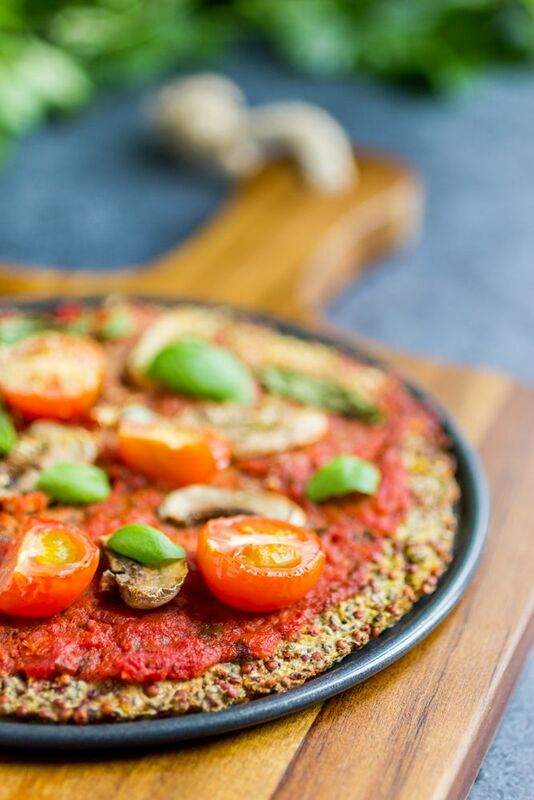 The most perfect gluten-free vegan pizza! + My good day Wednesday! + Starbucks. Always be grateful for Starbucks. + O, it’s May! That means great things like Celiac Disease Awareness Month! Stay tuned and get pumped! + What were some of the things you looked forward to (or still do) about going home for Summer break? + Did you get stressed about mid-terms or finals? No…. Holy productivity Batman! Sounds like an awesome sauce Wednesday =) I LOVE productive days, they are my fav. They do make you feel good! Haha! Yes so many things to look forward to at home! Although you’ll look back on all the first year college “quirks” and laugh at some point 😉 glad you aren’t nervous for finals and can just chill them next few days. Going to read a few of the blogging articles, I’m in need of advice as usual! Thank you! And o…I can never get enough blog advice either! My brother and I would play for hours! Sooooo good! Haha-those cakes! Too funny! And those houses! I’m sorry, what a waste of resources. Gluttony at its worst. I died with the cakes! So funny! It may not seem like it now, but you’ll fondly look back at your dorm days– I know I still do, 13 years later! The ‘don’t skip savasana’ and the chickpea burger are myvfav this week. No…no you don’t 😛 Haha! XOXO have a beautiful weekend dear! Nice posts, I really want to read the “No Respect For Full-Figured Woman In Bathing Suit” article. Thanks! It’s a great perspective! Did you hear this week at Starbucks is happy hour?! Half price frappuccinos, baby! Considering I would never drink that and am dairy-free….hahaha! “Not having the intense fear that you’re going to lock yourself out of your room, bedroom, or building”. This brought back so many memories. Ha! Seriously I would get panic attacks knowing I got locked out and having to ask random people to sneak me in to avoid paying any fines. I didn’t get stressed either and people hated me for that but I guess I just kept good track along the course. We have a scanning card and in my building a key to my little bedroom, so I have so much to keep track of! Not when they smell…and you’re so desperate that you use a Q-tip to clean some of the gunck out….omg….bad idea! Thank you for your mention my dear! Your Friday Finisher posts always make me SO hungry lol. So many new recipes to make!! Hahaha, maybe TOO many 😉 Nah…that can never happen! Such an eclectic mix of articles this week Rebecca – I love it! Already read three and should probably get back to work! You to my foodie friend! Good luck on your finals! Your list of what you’re looking forward to when school ends brought back memories! Enjoy the time at home! Thanks for all the great links – some wonderful articles I missed this week! Have a good weekend! Rock them too! And we must meet up this summer dear! Love the ones you have on Mind, Body & Spirit this week! Can’t wait to get to reading em’ [after I’m finally done with this exam! :O ]! That one was so full! It’s always funny to see which category ends up with the most links! Beast out your exam dear! XOXO <----- cookie dough smoothie = reward! What a great round up of posts! I just filled my browser window with tabs of things to read from here, so gonna dive in for a bit before going to work…thanks for sharing all of these. Good luck on your finals! Have fun 😉 Thanks dear! Haha, always good to have time to blog! I don’t get nervous for exams either. I’m more annoyed that I have to stick around for them and can’t go home haha 😉 Hope your weekend is as good as your Wednesday!